According to a local newspaper, the little girl ended her prayer saying, “Good, by god! 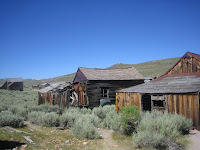 We’re going to Bodie”. This was in reply to the above slur published by the Nevada Tribune. 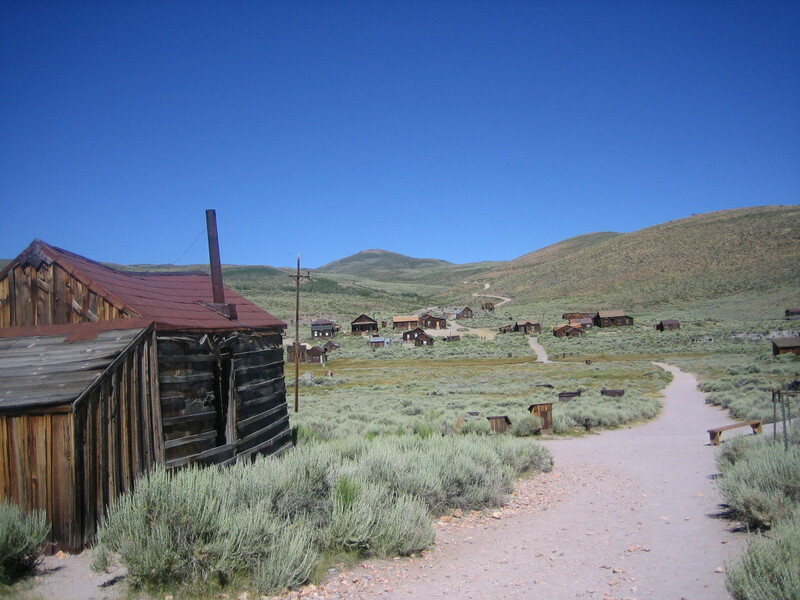 William S. Bodie credited with being the first white man to take residency in what became know as Bodie Camp. In July 1859, he and his partner Pat Garrity found some placer gold, marked the corners of a claim and built a cabin. The following winter the two, when returning to their cabin after a brief absence, became overwhelmed by a blinding snowstorm. The snow drifts got so deep that they could hardly move. Bodie, exhausted beyond his ability to continue, took refuge on a snow bank. His partner wrapped him in a blanket and continued on to their cabin. When the storm subsided attempts by a search party failed to find Bodie. In fact, the frozen body of William S. Bodie remained covered in ice until the annual thaw arrived the following May. His body was placed in a shallow grave marked by a wooden post. He would remain there for the next 20 years. 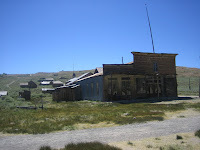 Bodie Camp had more than its share of gun fighters, stage robbers and other armed drifters with short tempers – “Bad Man of Bodie”. Fortunately, most of them were poor marksmen. Billy Deegan and Felix Donnelly faced each other at long range on Main Street over some disagreement. They exchanged a total of nine shots all of them went wide – even the few bystanders were missed. It was well know, that Pat Shea and John Sloan hated each other. One Sunday morning Pat Shea walked into Magee’s saloon and stated berating Sloan who was counting the past evening’s proceeds from the bar. This went on until Sloan, a big man, grabbed Shea and threw him bodily through the front door out onto the boardwalk. He then drew a gun and shot two rounds at Shea before the gun jammed. Both shots went wide. Shea, while lying on his side, pulled a Colt Lightning from his hip pocket and returned fire one round tore at Sloan’s coat collier the following two rounds went wide. The next day Shea and Sloan were each fined $15 for disturbing the peace. Jesse Pierce gambler and stagecoach robber was considered moderately intelligent when sober. On a dance night at the Miner’s Exchange Hall, Jesse lost his temper and shoved entertainer Kittie Wells causing her to tumble onto the dance floor. When her friend Joe Black stepped forward to help her to her feet, Pierce pulled a gun and put a round in Black’s ribcage. Pierce was arrested and taken to the local jail. As soon as Sam Black showed signs of a complete recover, for reasons not clear, charges against Pierce were dropped. A short time later, Jesse became involved in a highway robbery. Two masked men stopped the stagecoach southbound for Bishop. The coach had two sporting women as passengers Tillie Swisher and Minnie Otis. The robbers took $500 from the Wells Fargo Express box and money and jewelry from the two women. Tillie Swisher recognized Pierce and yelled, “Mr. Jesse Pierce, that is all I have left and it is not fair to leave me with nothing”— Tillie Swisher’s testimony at trial sent Jesse Pierce to the State Penitentiary for six years. 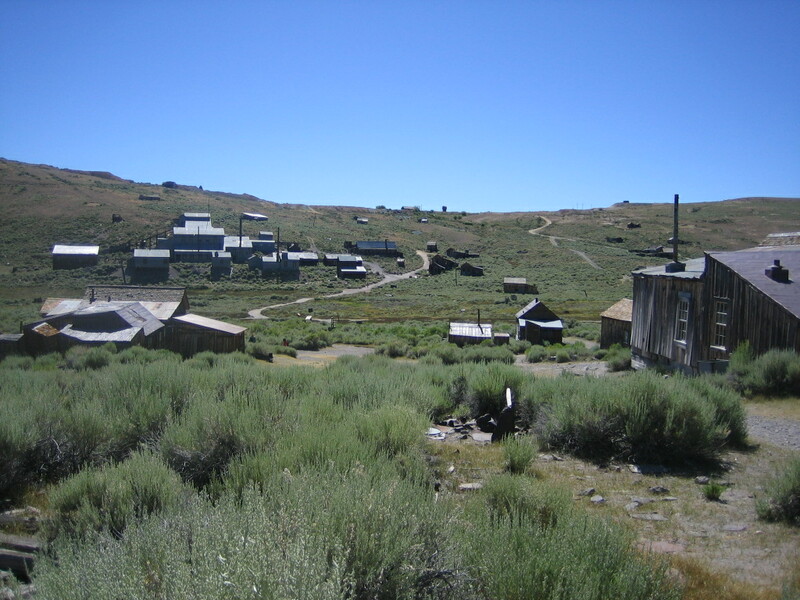 Crime among the Chinese population of Bodie mostly involved the sale and use of opium. The local Chinese, in true spirit of the West, would take whatever measures necessary to protect themselves and their property. Some carried weapons, hidden beneath their loosely fitted garments, which they could draw and fire with amassing speed. Sam Chung a ranking member of the local Yung Wah Tong was a truly dangers man when upset. Chung was arrested for shooting and wounding two men at a opium den. The charges were dropped based on his claim of self-defense. Later more serious charges were lodged against Chung for the murder of Encino a Mexican wood hauler. According to local authorities, Chung found Encino’s mule tramping his vegetable garden and in a state of rage grabbed a shotgun and emptied two shells at close range. Encino died that evening as a result of numerous buckshot wounds. “A cold-blooded and barbarous murder,” reported the Bodie Standard, echoing the outrage harbored by the Mexican community. Highly esteemed attorney Patrick Reddy hired by Sam Chung, with his usual courtroom witness badgering, convinced a few jurors that Sam should go free. This resulted in a hung jury. Patrick Reddy stood well over six feet in height used his size and personal charm to win the respect of others. The loss of his arm to a bullet wound from an unknown assailant marked the end of his mining days in Aurora and sent him in pursuit of a new career as an attorney. He decided that he could make more money settling mining disputes than digging for gold and started studying the law that led to his admittance to the bar. Reddy’s court dates grew as mine owners and prospectors hired him to prosecute claim jumpers and settle other property disputes. 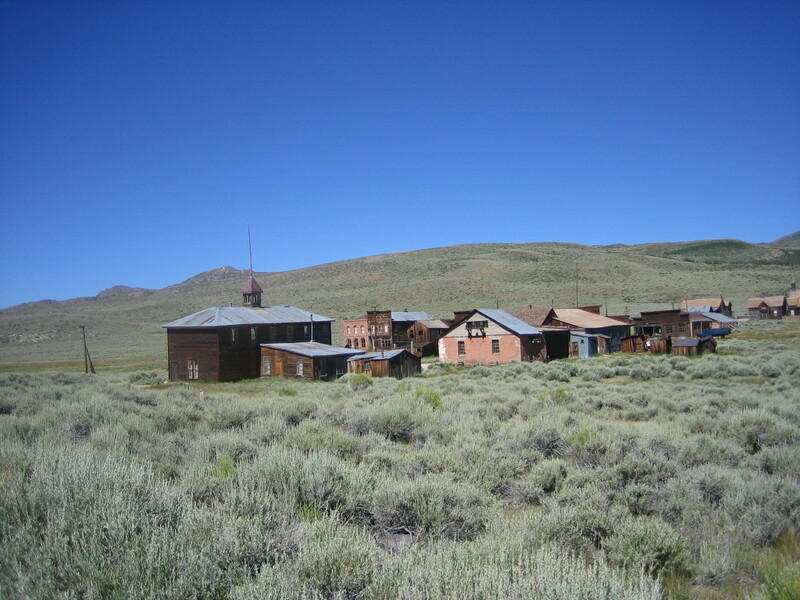 His success defending murders and those charged with lesser crimes mounted as the population of Bodie increased. He eventually established an office in San Francisco. It was said that young attorneys would attend his trials to lean how to enthrall a jury. 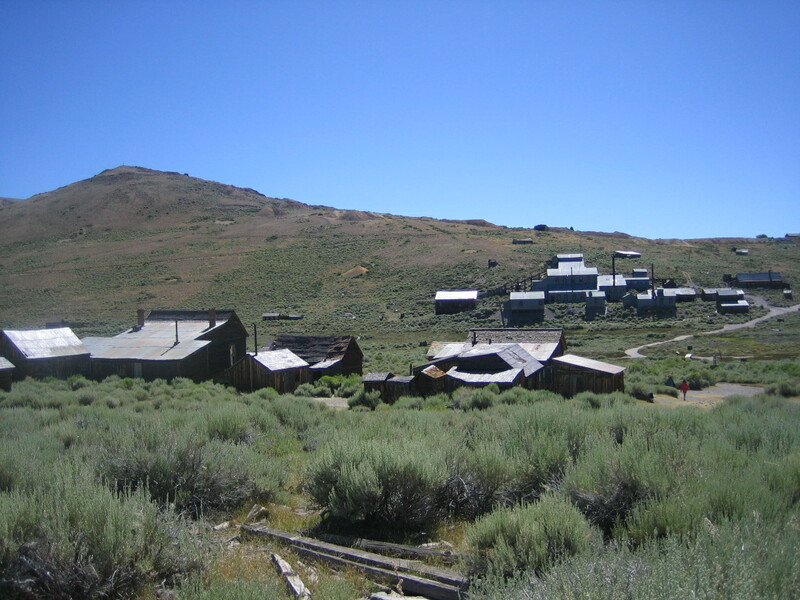 The Bodie Bluff Consolidated Mining Company was established in 1863 with Leland Stanford, Governor of California, as president. On his visit to Bodie, Stanford brought a mining expert to investigate the ore body on his behalf. After a brief examination the noted expert proclaimed, “There will be no color twenty feet below the surface”, meaning the ore body ran shallow. Based on this terse assessment, Stanford sold his interest in the mine and resigned as president of the company. Two hungry prospectors took possession of Bodie Bluff and continued digging into an existing tunnel. Because of scarcity and high cost of wood, the walls were not properly timbered. This omission may have been the cause of a loud rumble and roar that shook the ground like an earthquake early one morning. The walls had collapsed exposing a rock ledge. Awakened by the noise, the partners rushed to the entrance and stood in amazement staring at a broad rock face sparkling with bits of gold of unimaginable wealth – they had at last found their bonanza. It was said that, “Dame Fortune had truly embraced them with open arms”. Bodie Bluff renamed the Standard Mining Company went on to produce gold by the wagon loads well into the 20th Century. 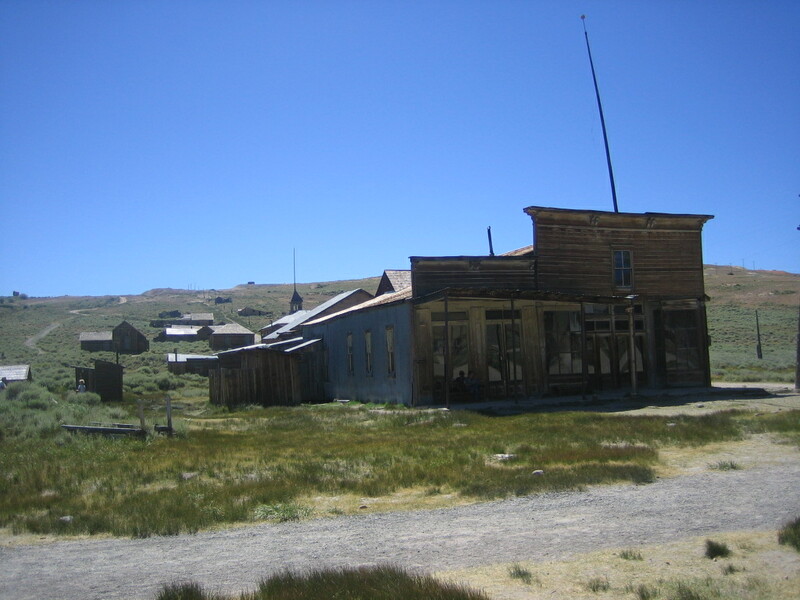 When Governor Stanford stepped off the Bodie stagecoach a few years later, a small group of town leaders where there to greet him -- “Boys,” he said, “I tell you what, I missed a big fortune by listing to the advice of a so-called “expert”. 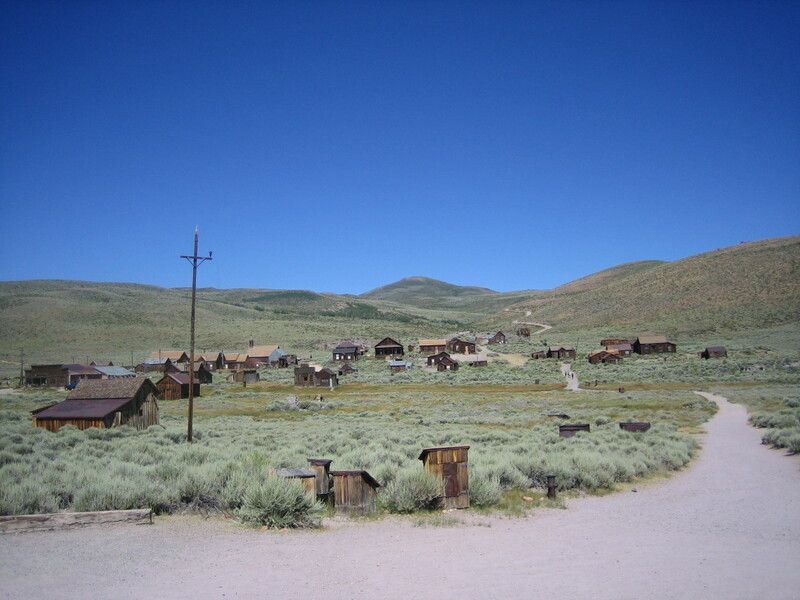 Bodie Camp reached a population of over 5,500 according to the 1880 censes. 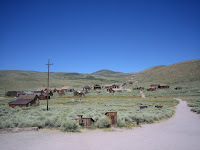 The streets held over fifty saloons to serve thirsty hard working miners and town folk. Two banks, three newspaper and six general stores gave Bodie-ites a sense of living in a permanent community. 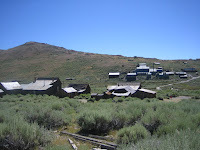 Other improvements included lodges, a church, a school and a well maintained cemetery Bodie looked fair size with picturesque buildings of all types spread out over a mountain saddle. Of the thirteen ore bearing mines in the district, only five showed a profit. Overall gold production began to decline as smaller operations went idle. 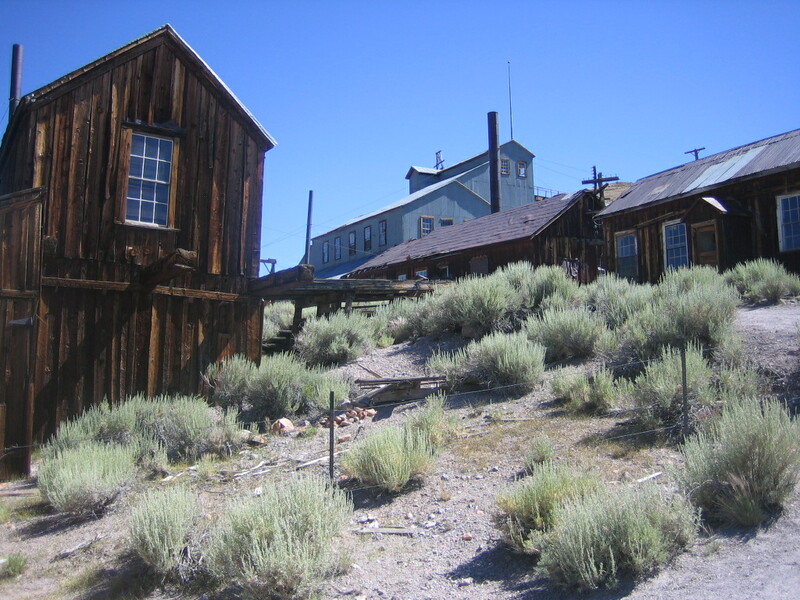 Interestingly, ore from the Standard mine showed color well below 20 feet and would continue, off and on, producing gold until 1940. 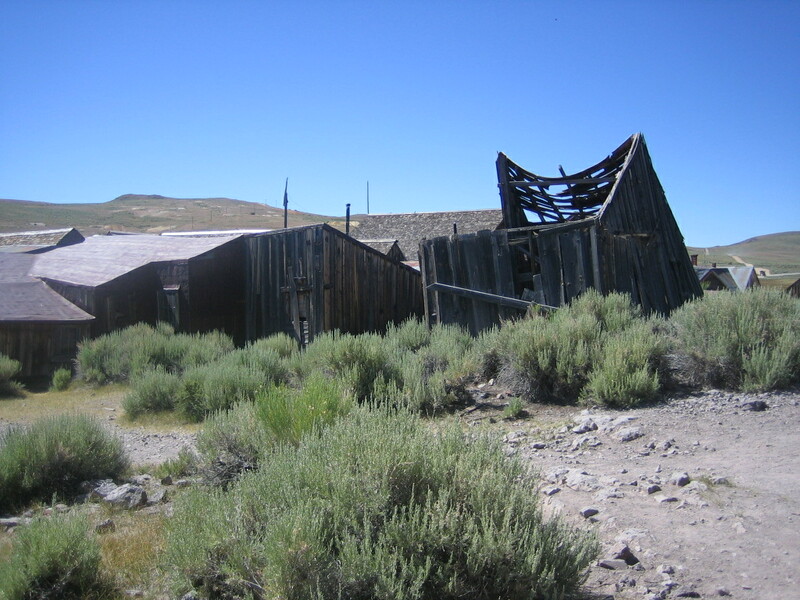 Members of the Pacific Coast Pioneers of Bodie decided to give the founding father a proper burial. To that end, the remains of William S. Bodie were unearthed, his scull and a few assorted bones put on public viewing at the Masonic Hall and then taken by funeral procession to the cemetery. A length oration given by R.D. Ferguson ended with a plea to, “Let a fitting and enduring monument be reared in his memory”. The locals showed there gratitude by subscribing $500 for a monument. A sculptor was commissioned to chisel out of native granite the “majestic Shaft” described by R.D. Ferguson. When the sculpted object was readied for an inscription plate, a telegram arrived with word that President James A. Garfield had died. A great sense of loss and quiet sadness fell over Bodie. A week of morning dictated that some measure must be taken. An inscription plate was prepared and place on the “majestic Shaft” that had been completed to honor William S. Bodie. The inscription read: Erected to the Memory of James A. Garfield. 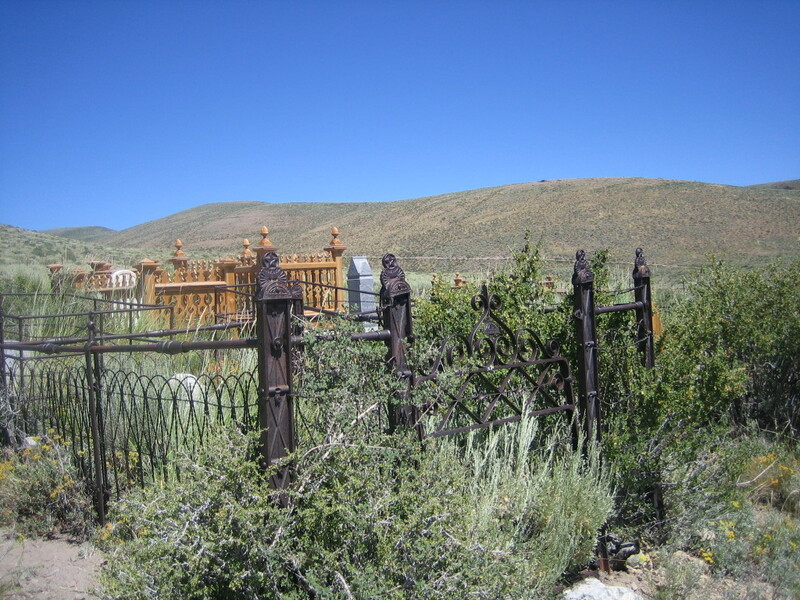 Remains of the departed could be found in either the Bodie Cemetery or Boot Hill. Law abiding persons of good character were awarded a plot and marker within the fenced cemetery grounds. Lesser beings, such as gun fighters, prostitutes and horse thieves, wound up on Boot Hill in unmarked graves. 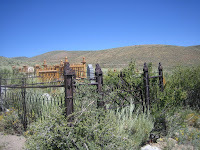 So where is the grave of Washoe Pete? Early visitors to the ghost town asked. Well, Pete was a fictional character created by E.H. Clough. 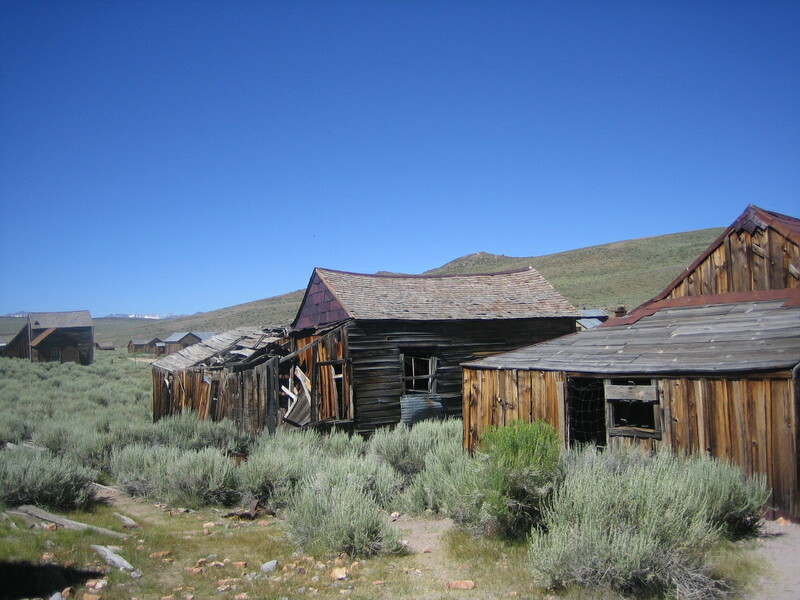 The storied “Bad Man of Bodie” became a national sensation after it appeared in the June 1878, issue of Argonaut a popular magazine of the day. 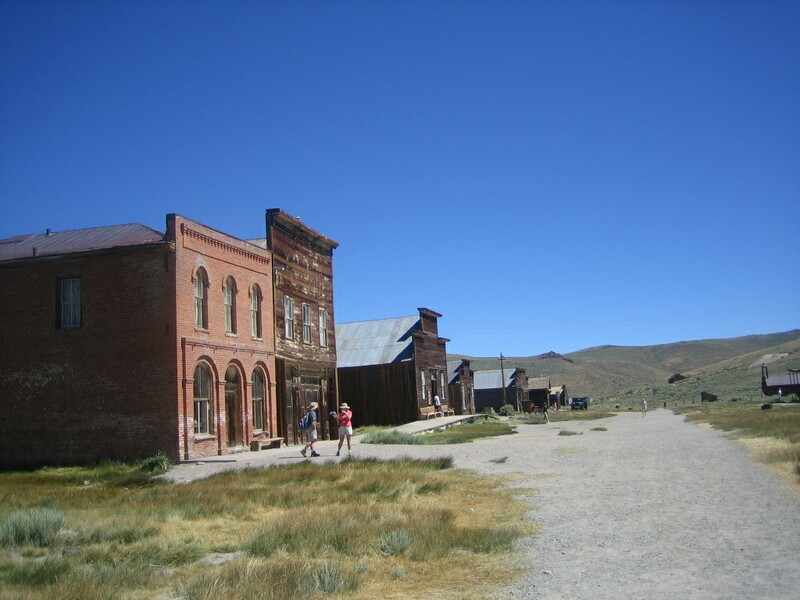 Bodie, now a state park, is open to the pubic when not snowed in. Beware: It is well documented that if you carry away even a sliver of wood from here you will be visited by the ghosts of Bodie who will haunt you until the object is returned.